After the repose of Catholicos Svimeon, leadership of the Georgian Church passed to Catholicos Melchizedek I. St. Melchizedek led the Church from approximately 1010 to 1030, during the reigns of Kings Bagrat III, Giorgi I, and Bagrat IV. It is believed that St. Melchizedek was the first Georgian Catholicos to be commemorated as Catholicos-Patriarch. According to historical sources, Catholicos Melchizedek was of a noble lineage and was a pupil of King Bagrat III. Under his leadership Svetitskhoveli Cathedral was restored and adorned. He journeyed to Byzantium to raise funds for this project, and while he was there he visited Emperor Basil II (the Bulgar-slayer). St. Melchizedek returned to his motherland with generous gifts and began the greatest construction project of the century: the adornment of Svetitskhoveli Cathedral with gold, silver, pearls, and precious stones. 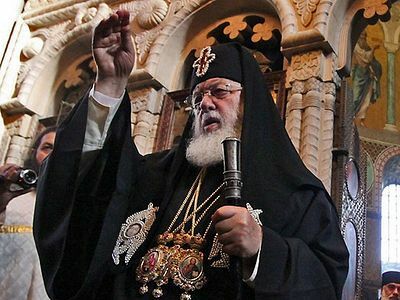 St. Melchizedek made several journeys to Byzantium during his life, and historians believe that during one of those visits the patriarchs of the East approved “Catholicos-Patriarch” as the official title of the chief shepherd of the Georgian Apostolic Orthodox Church. History has preserved St. Melchizedek’s will, in which he bequeathed a long list of holy objects, monasteries, and villages to Svetitskhoveli Cathedral. 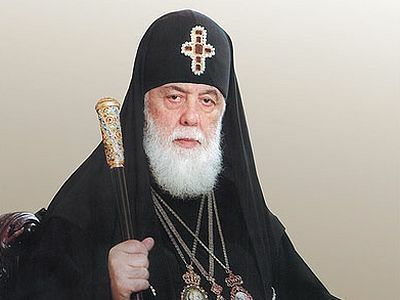 In his will the chief shepherd of the Georgian Church is referred to as “Catholicos-Patriarch.” Melchizedek’s will also reveals that he specified the location where he wished to be buried. St. Melchizedek was canonized on October 17, 2002. Like Noah didst thou bestow upon thy nation an ark of holiness, and like a bride of Christ didst thou adorn the Church with living jewels. 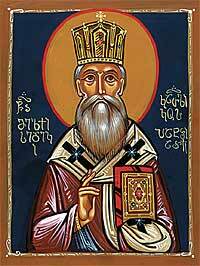 O Holy Hierarch Melchizedek, make us worthy of eternal blessedness! 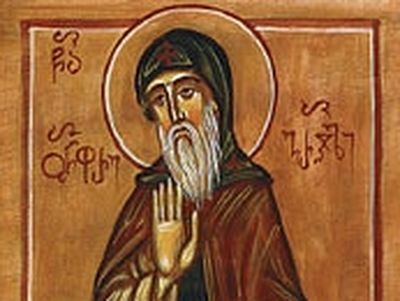 Saint Onopre of Gareji (Otar Machutadze in the world) lived and labored in the 18th century. He was a Kartlian aristocrat famed for his wealth, hospitality, and charity. The 8th century was extremely difficult for theGeorgian people. Marwan bin Muhammad (called “the Deaf” by the Georgians and “the Blind” by the Armenians), the Persian ruler and military leader for the Arab caliph, invaded eastern parts of the Byzantine Empire, then Armenia and Georgia. With fire and the sword he fought his way across Georgia from the east to the city of Tskhumi (now Sokhumi) in the region of Abkhazeti. 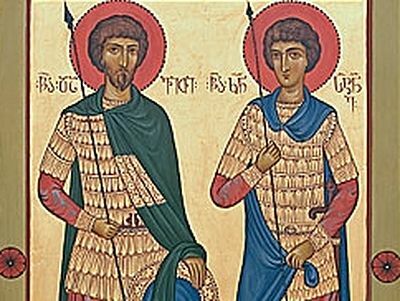 The princes Davit and Constantine Mkheidze of Argveti were faithful Christians and skilled military leaders. When they heard about the enemy’s invasion, the brothers prayed to God for protection, assembled their armies, and urged their people to pray fervently for God’s help. Catholicos Basil III’s “Story of St. Shio’s Miracles” describes how the hitherto childless parents of St. Ioane prayed at length to St. Shio of Mgvime. After the birth of Ioane, his God-fearing parents sent him to be raised at Shio-Mgvime Monastery. 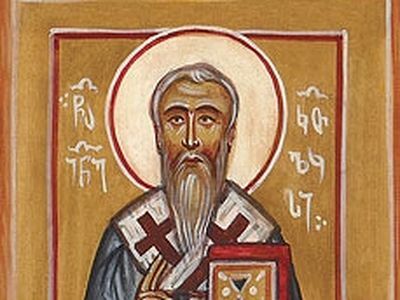 There he acquired the sanctity and wisdom for which he would later be called “Chrysostom,” meaning “golden mouth” in Greek. 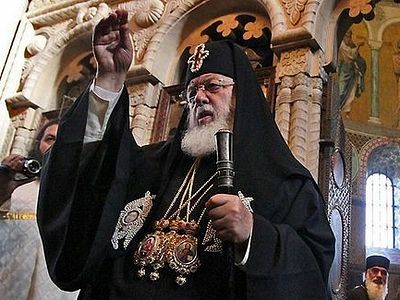 By this name he has been known throughout the history of the Georgian Church.